Milkadamia, a milk alternative made by nut farmers in Australia, can be found on the shelves of 5,000 American stores, including Walmart. But the company behind the product didn't make repeated calls to buyers or bang on any other doors -- retailers asked them to create the product for them. And the reason why is simple, according to Jim Richards, CEO of Milkadamia maker Jindilli Farms. 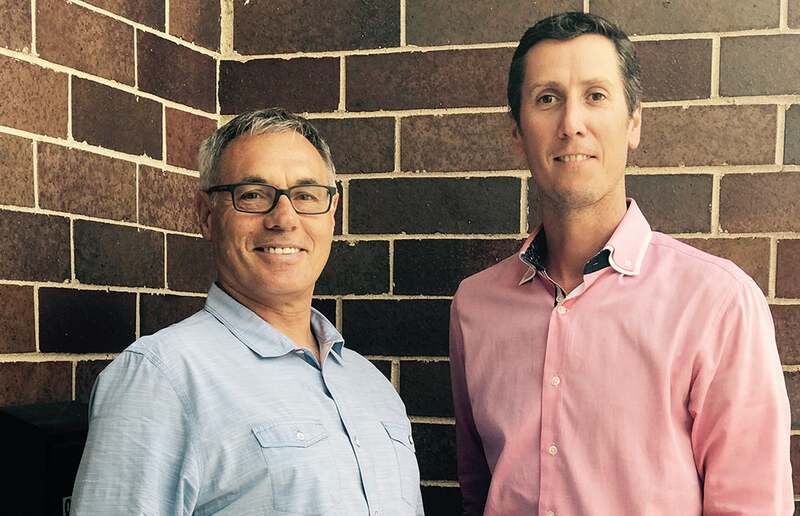 Jindilli Farms co-founder Morgan Roy and CEO Jim Richards. "It comes down to this: make a product that you believe in. I know that sounds kind of corny but believe in your original vision and just work that vision," he says. "All we did was work on our product and work on our brand." Milk alternatives has grown into a big business, with worldwide sales doubling between 2009 and 2015 to $21 billion. 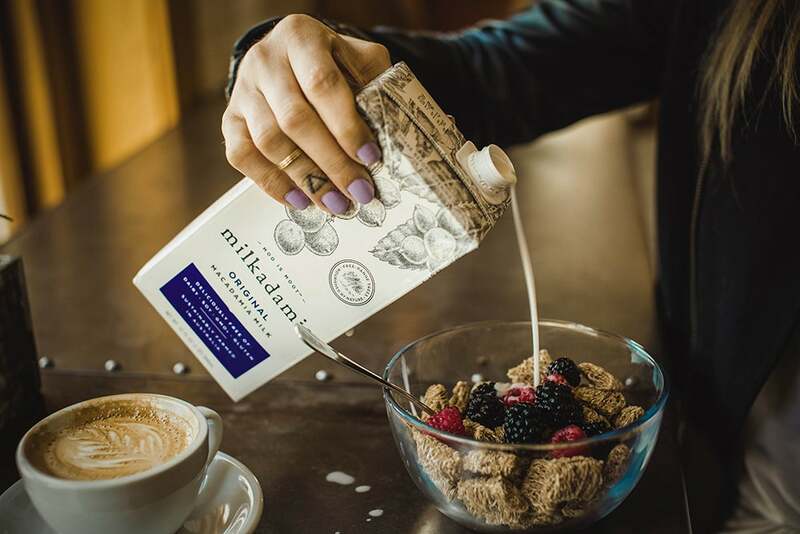 The most popular variations of these so-called milks (there's actually an effort by dairy farmers to get these competitors to stop using the word) are made from soy, coconut, almond and rice, with other entrants including cashew, hemp, pea and oat. After a year of experimenting with a product to be used in coffee and carried in cafes in 2015, the Burr Ridge, Ill.-based company launched a shelf-stable retail beverage in 2016, which can now be found in 5,000 stores in the U.S. A refrigerated line launched this year and is carried by Walmart. The company expects revenues to exceed $10 million within the next two to three years. Richards, whose company also produces oils made from macadamia nuts for both cooking and skincare, spoke to Entrepreneur about how Milkadamia stands out and the motivations behind it. You didn't want to launch your product into retailers. Why? We [had this idea for macadamia nut milk] and thought that we could introduce it in places that were incubators of trends, [such as] cafes. The macadamia milk we introduced into cafes went pretty well. At coffee trade shows we ran into people, distributors and retailers and they were very keen for our product to be launched in retail. We weren't so keen, since the product that we had developed for the cafes was specifically designed for coffee. It was just not designed for people to consume by the glassful. So we thought it would take us a few weeks, maybe three months max, to redesign that cafe product. It actually took us over a year. What changed everybody's minds about going into retail? It was an opportunity staring us in the face. We did want to represent the health benefits of macadamia as widely as we could. So [we said,] OK, let's have a shot. It was really that simple. One of your successes came from catching Walmart's attention. What can any entrepreneur learn? It comes down to this: make a product that you believe in. We were approached. We didn't approach retailers in the first place. All we did was work on our product and work on our brand. But what attracts retailers and distributors is not our pitch, it's not our personalities or ourselves in any way, it is that this product actually does stand out as somewhat unique and that's what makes the difference. I think for entrepreneurs, there's that old saying: Why should you try to fit in when you were designed to stand out? Do not try to fit in. Go look at your category and then do something completely different. Don't try and look like all the others, do your own thing. Do what expresses your product and your belief in the product and your belief in the category. Considering all of the options, what do you think is Milkadamia's appeal to consumers? No one had any fun with the category. The branding was so boring, if it was an almond, that's what it was called, almond milk. So we made our product align with the values and concerns of people who are choosing non dairy and plant based diets. We put "moo is moot" right across the front of our packaging front and center. Dairy is a pretty big opponent to be poking but that's who we are. There is no point pretending we're anything else, we make it loud and proud. We're farmers, we grow the stuff, we work just as hard and as long as any dairy farmer and the product that we produce isn't an alternative. People are looking for things that are good for the planet as well as good for themselves. They're looking for a wider version of wellness that doesn't leave a sour legacy anywhere. We aligned our product with that. We actually don't do much research, we don't go hunting out what people's values are, we make an assumption that there's a whole lot of other people like us who love this world and want to do what they can for it. We believe people are tired of hearing nothing but bad news.